The Bonnington Jumeirah Lakes Towers congratulates its HR & Quality Manager, Diana Saxena, for being shortlisted for the 2012 Hotelier Middle East Awards as HR Person of the Year! The Bonnington Hotel in JLT is very pleased to announce that its HR & Quality Manager, Diana Saxena, has been shortlisted for the prestigious ‘HR Person of the Year’ award in the 2012 Hotelier Middle East Awards – the Oscars of the hospitality industry in the United Arab Emirates and the wider region. Diana, who joined the Bonnington’s pre-opening team in 2009 as Assistant HR Manager and was promoted to HR & Quality Manager in 2011, not only oversaw the successful pre- and post opening process, but also implemented a host of HR, training, and quality initiatives, which were fundamental in assuring consistently low staff turnover, high employee satisfaction, and continuously rising guest satisfaction scores. “I congratulate Diana for being included in this year’s shortlist for this award and the entire Bonnington Hotel & McGettigan’s Irish Pubs team will surely support her on 31st October. We all wish her the very best and hope that she will win on the night!,” said GM of Bonnington Tower, Bruno Guilloux. Diana has the full support of all her colleagues, who praise her cheerful and understanding nature, excellent organization skills, dedication, and reliability. Now in its eighth year, the Hotelier Middle East Awards recognises a broad range of front and back of house roles, from laundry managers to chefs, marketing experts to concierges and spa professionals to engineers. This year there are 19 award categories. Meet Paul Bussey, our Executive Sous Chef, who just landed a spot in the regional final of the 2012 Unilever Chef of the Year competition. Winning the regional heat would see him jet of to sunny South Africa for the finals in September this year! Before joining the team at the Bonnington, Paul used to work for The Ivy, Rivington Grill, and Verre by Gordon Ramsey in Dubai. Prior to coming to the UAE, he could be found at Bluebird in London’s swish Chelsea neighbourhood and he also spent time working for Angela Hartnett at the Connaught in London. Every year, Unilever Food Solutions provides innovative young chefs with the opportunity to prove their worth in the culinary world, by challenging them to create and produce the most original, utterly delicious, beautifully plated dishes. Once again, the competition will be judged by several leading, respected figures in the culinary world. The Dubai competition will take place at the prestigious Emirates Academy of Hospitality on Saturday, 2nd June, and Paul will have only 3 short hours to prepare a three course meal for 3 people from scratch and using only ingredients from the mystery basket list he’ll be given just before he’s ready to hit the kitchen. We wish Chef Paul the best of luck and hope to see him represent the Bonnington and Dubai in South Africa in September! After a long break, here’s another instalment of our “Who’s who at the Bonnington” series. This time, we’d like to introduce you to Jocelyn, one of our Sales Executives. As a Sales Executive at the Bonnington Bonnington Jumeirah Lakes Towers – the only family-owned and run business hotel in Dubai, I look after the corporate accounts in Dubai Internet City, Dubai Media City, Knowledge Village, parts of Sheikh Zayed Road and Jebel Ali Free Zone. I ensure that all corporate hotel requests in these areas are responded to accordingly and assist all bookers with their requirements, whether it is for room reservations, meeting space or banqueting. To work in the hospitality industry, you have to be a people person and to work in hotel sales, you have to be more than just people-oriented. It is not just the physical product that I sell to my clients; it is both the product and the service we provide. I myself am part of this service and, as the clients’ point of contact at the Bonnington, I have to ensure that they and their guests receive the best possible service at all times. Acquiring new accounts, rate negotiation, developing mutual business relationship with clients, looking after and assisting the clients with their requirements are just some of the things I do. My day starts as soon as my alarm sounds. I usually switch on my laptop and dance to my favourite songs for some morning exercise. Once I get myself ready, I pick up Wilson, my car, and drive to work. When I get to the hotel, I sit in front of my computer for about 15 to 20 minutes to send my appointments of the day to our director, check my production, hotel and competitors’ figures and the hotel forecast, so I can advise my clients accordingly for their future requirement. I go out to attend all my appointments at around 10.00 a.m. I usually have around 6 appointments per day and while driving from appointment to appointment, I make follow up phone calls to my clients. I normally get back to the office around 3.30 p.m. and once I’m back in the hotel I do admin tasks such as sending e-mails, follow ups, issue and chase contracts and logging my activities for the day in our record system. Before coming to Dubai, I was working as a call centre agent back in the Philippines. It was my sister who saw the advert for a Wild Wadi Water Park vacancy in Dubai. At first, I didn’t want to apply and leave the country; however it my mum encouraged me to try. In July 2007, I finally arrived in Dubai and started my new work as a life guard in Wild Wadi. It was hard work being a lifeguard, but it was fun. After some time, I was given an opportunity to join Jumeirah Living in DIFC to be part of their pre-opening team as a Guest Service Executive. Almost two years later I joined Burj Al Arab as a Sales Agent and it was then I realized that I want to pursue a career in Sales. I moved to the Al Murooj Rotana as Sales Coordinator and got my driving license for the UAE. When I felt that I was ready to move forward in my career, I joined the Bonnington in November 2010. I believe that Manny Villar’s comment during his political campaign, “Sipag at Tiyaga”, is actually true. It means “Hard work and patience”. Dream big, because nothing is impossible. Work hard for your goals and be patient and grab every good opportunity that comes, because opportunity only knocks once. It’s time to say farewell to Mr. Fix-It! Our executives and heads of departments gathered yesterday to say good-bye to Puneet Uppal, our Technical Director, who, after more than two years with the Bonnington, has decided to leave the Bonnington and take on new challenges elsewhere. You may remember Puneet from our blog post about HITT 2011 and Build Green Magazine. Everybody agreed that, without Puneet & his team, we wouldn’t be where we are today, so here’s to Puneet & best of luck for his future career! It’s been a pleasure! Please give a warm welcome to Bruno Guilloux, who recently joined the Bonnington family as the new General Manager of the Bonnington Jumeirah Lakes Towers! French-born Bruno began his career in the Rooms Division at the 5* boutique hotel, The Lancaster, Paris, part of the Savoy Group, after graduating from the prestigious Parisian Hotel School Jean Drouant. After stints in Frankfurt and Bangkok with Kempinski, he joined Accor Asia Pacific in 1994 as Director of Rooms for Sofitel, and was later promoted to Resident Manager. Bruno comes with a wealth of experience in resorts and city hotels. He has worked for various 4 and 5 star hotels (Novotel and Sofitel) concerns throughout the Far East (Thailand, Korea, Indonesia) and most recently the Middle East in particular Dubai at the World Trade Centre and Sofitel in Egypt in a career spanning more than 25 years achieving record profitability and service awards. Don’t forget to check out our homepage! After a long break, here’s the next instalment of our “Who’s who at the Bonnington” series. This time, we would like you to meet Lester, our Security Manager. Lester hails from Sri Lanka, where his first job was Doorman at the prestigious Hotel Lanka Oberoi and where he fell in love with the hotel industry and luxury hotels. He stayed with the Oberoi for six years, moving through the ranks to Security Supervisor, before joining Le Meridien Sri Lanka for three years. In 1987, Lester emigrated to Canada, where he worked as a Concierge in a luxury apartment building for one year before, having gathered enough local knowledge, joining the Four Seasons Hotel Toronto. Working in what could well be described as the most iconic hotel in the Four Seasons collection, Lester served countless Royals, Presidents, and celebrities for six long years. Eventually, Sri Lanka lured him back and he moved to the Bentota Beach, a beautiful beach property just outside Colombo, where he worked as Security Manager for three years. After that, he joined another beach property, the Mount Lavinia Hotel, where, as a Security Manager, he oversaw security, transportation, and the pool. Destiny brought Lester to Dubai where he first worked for the Al Bustan Centre before joining the Bonnington in 2009. Lester says that he does not settle for anything less than top performance and output and calls himself a perfectionist with 34 years experience of managing effective & modern security operations. After a long break, we finally bring you another instalment of our popular “Who is Who at the Bonnington Jumeirah Lakes Towers” series for you! 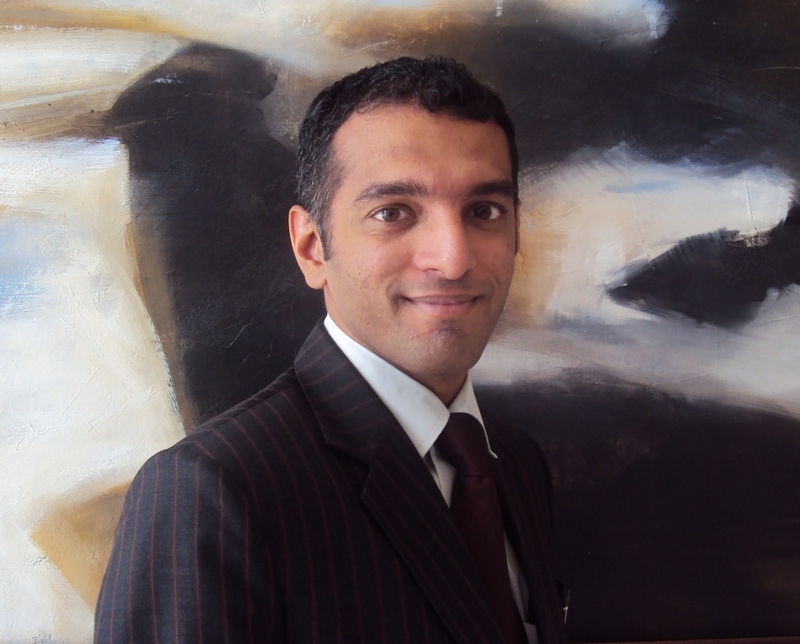 This time, meet Ali Qasim Syed, the Bonnington’s Guest Relations Supervisor. Ali was born in Islamabad, Pakistan, and, after completing his BA in Business, started working for a telecom company in his hometown in 2001. In his role, he was responsible for customer relations, a fact that made him an ideal candidate to join the hospitality industry, which he did in 2004 when he joined Starwood Hotels & Resorts in Dubai. He was voted “Star of the Month” in May 2006 and also nominated for the prestigious “Concierge of the Year” award in 2006. In 2008, Ali joined the pre-opening team of the Monarch Hotel on Sheikh Zayed Road as a Concierge Shift-in-Charge. A year later, he became part of the Bonnington family and his pre-opening experience came in handy when we established our Guest Service department, policies, and procedures. On a day to day basis, Ali looks after our guests, assists them with booking itineraries or puts together activities or sightseeing tours for them. His aim is to ensure that all guests have a memorable experience at the Hotel and become part of the Bonnington family while they’re with us. Ali’s fast becoming a well-known face at the Bonnington and often gets mentioned in guest comments and reviews, for example this review on TripAdvisor. In his spare time, Ali loves to play and watch cricket, or you can find him walking along the beach enjoying time with his family. After a break of several weeks, here’s the next part of our Who is Who at the Bonnington Jumeirah Lakes Towers series! This time, we would like you to meet Thomas Gagliardi, the man behind our culinary offerings in The Cavendish Restaurant, Healey’s Bar & Terrace, The Authors’ Lounge and anywhere else in the hotel where you see food being served. On any given Sunday morning at this stage in his culinary development, Chef Thomas could be found at his grandmother’s feet in silent awe as she prepared these mini smorgasbords alone and with delight. Finding this as the root cause of his attachment to a hazardous and unforgiving career, he came to the conclusion to dedicate his lifetime towards sharing his own way of food with all those he possibly can in search of recreating these familiar moments with his grandmother. In the past 18 years, Chef Thomas has gathered a short lifetime’s worth of experiences, knowledge and passion towards culinary artistry and a true hotelier lifestyle. 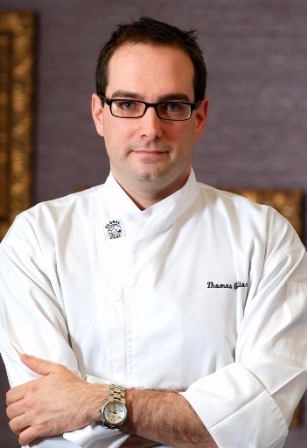 Chef Thomas has a drive to share his opinions, both personal and professional, in hopes to contribute his own piece towards an infinite future of great food, great restaurants and great hotels for the world to enjoy. Maybe one day he’ll even find that feeling again, which he only found on those Sunday mornings, dumbfounded in his grandmother’s kitchen. Sitha Saraswati, our Front Office Manager, was born in Jakarta, Indonesia and, after completing her BA (Hons) in Tours & Travel at the Bandung Higher College of Tourism in 2000, Sitha joined the Grand Mercure Slipi. Having worked as a Receptionist for a year, she was promoted to Guest Relations Officer and, a year later, to Guest Relations Supervisor. During her time at the Grand Mercure, Sitha was voted Employee of the Month in June 2002 and Employee of the Year 2002. In 2003, she relocated to Dubai, where she joined the pre-opening team of the Novotel World Trade Centre as Front Office Shiftleader. The hotel opened especially for the 2003 World Bank/IMF summit held in Dubai in 2003 and, throughout the last few years hosted several other high-profile functions and events. Sitha left the Novotel in 2008 after two promotions, first to Assistant Manager (Front Office) and, in 2007, to Assistant Front Office Manager, to join the pre-opening team of the Bonnington Jumeirah Lakes Towers. Sitha has just joined the Institute of Hospitality and, in her spare time, enjoys cooking and going to the beach with her family.